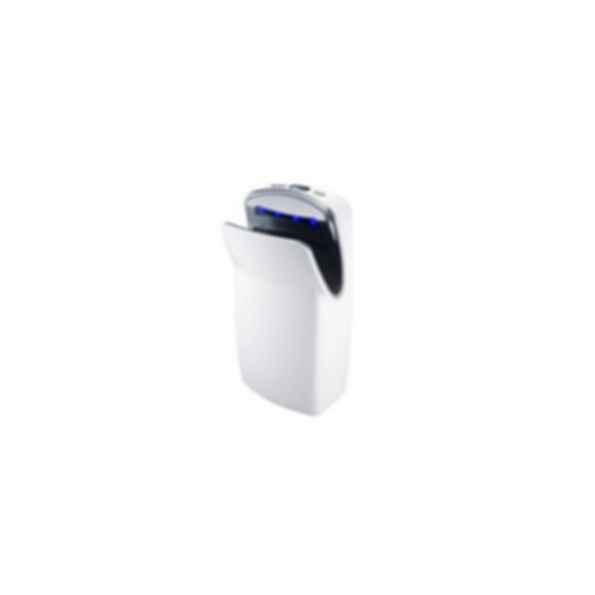 Aerix High Speed, Vertical Dual-Sided Hand Dryer. 25% greater hand drying opening for more space and comfort. Easy-to-empty water collection resevoir keeps floors and walls clean. Replaceable HEPA filter reduces contaminants in the air when in use.